Trek has taken 437 grams off the frame weight of the previous incarnation of the time trial bike, improved aerodynamics and reduced the frontal area, making it faster in real world riding conditions. 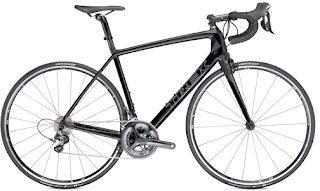 Trek also claims that they have improved fit, adjustability, and assembly time. Trek has modified the Kammatail Virtual Foil tube profiles, updated the shape to improve aerodynamics in a wider range of yaw angles compared to the previous bike. There are also "fillet's"between the main frame tubes to increase side surface area - reducing drag at higher yaw angles and stiffening the frame. For the fork, Trek has followed Cervelo's lead and gone with a choice of two different options. First, a standard fork that is UCI compliant with a 3:1 aspect ratio. 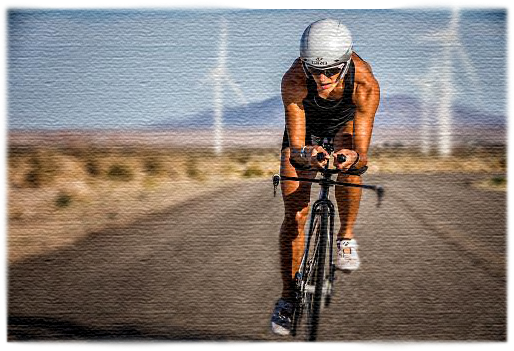 For the triathletes out there, there is a UCI-illegal, high aspect ratio (6:1) fork specifically designed to achieve every last bit of aerodynamic gain possible. What do all of these improvements mean in terms of time savings? 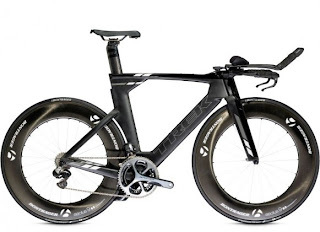 Trek claims that the new Speed Concept will yield a rider averaging a 20 mph of savings of over a minute and a half on an Ironman course compared to the old Speed Concept. ProTour rider Fabian Cancellara was brought in to test the new design in a velodrome, the results of which would indicate that a rider of his caliber might save between 30 and 40 seconds on the new bike in a one-hour time trial. The new design sports a redesigned stem and seatpost, each with fewer bolts and moving parts than the current model's design, as well as simplification in other areas that reportedly decrease build time of a new machine by over an hour! 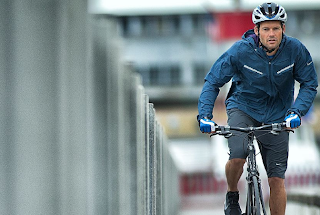 The new model boasts the same frame measurements of the current lineup, but Trek did redesign the handlebar system, allowing for a wider range of fit options and the ability to effectively fine tune the fit of the Speed Concept to an indvidual athlete's needs. 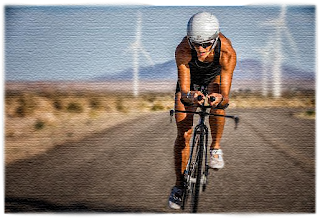 The Speed Concept is sure to be a triathlon bicycle against other bicycles are measured for many years to come.